If you thrive on Google Play Music's radio stations but would love if they kept playing while you're away from an internet connection, congratulations -- Google has just granted your wish. 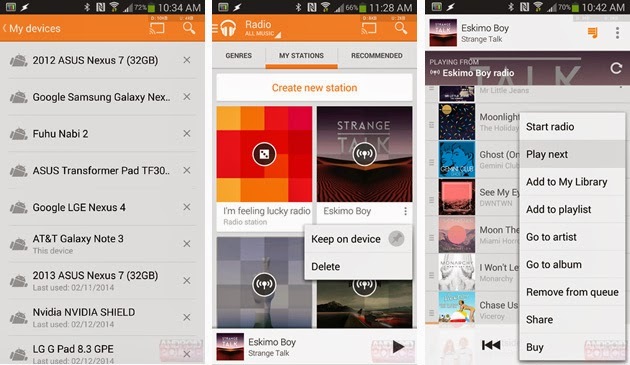 An Android app update rolling out today lets you pin whole stations to your device, guaranteeing a fresh set of tunes when you're on that WiFi-less flight. The upgrade also allows you to remotely manage the devices that can access your collection, and a "play next" command will queue up a song that you just have to hear. The new Play Music software doesn't appear to be widely available just yet, but those who refuse to wait can download the installerfrom Android Police.